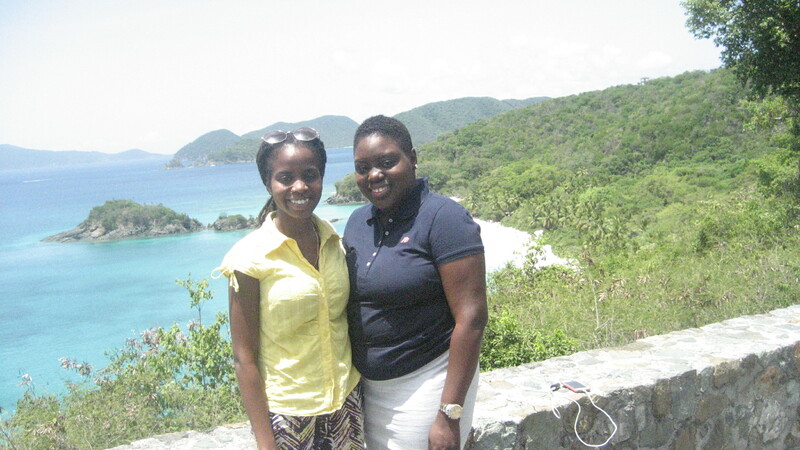 Jewel Cumberbatch and Shermiga Emilcar on St. John Island June 2016. Photo courtesy of USF Heritage Lab. The USF Heritage Research Lab team led by Dr. Antoinette Jackson is working on an Ethnographic Assessment project in the US Virgin Islands funded by the National Park Service. 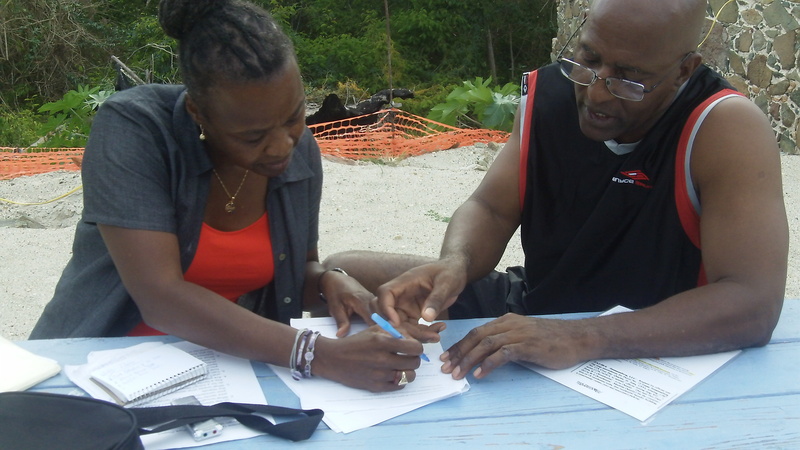 The research is focused on recording the history and experiences of people associated with the US Virgin Islands National Park with a specific emphasis on Hassel Island and St. John Island and persons and families with long-term ties to these areas. 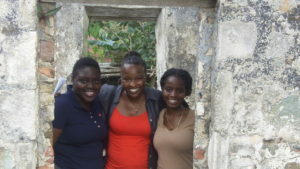 The research team includes two students Jewel Cumberbatch (University of the Virgin Islands/University of Florida) and Shermiga Emilcar (Bethune-Cookman University) and University of New Orleans Instructor and Co-founder of the Neighborhood Story Project, Rachel Breunlin. 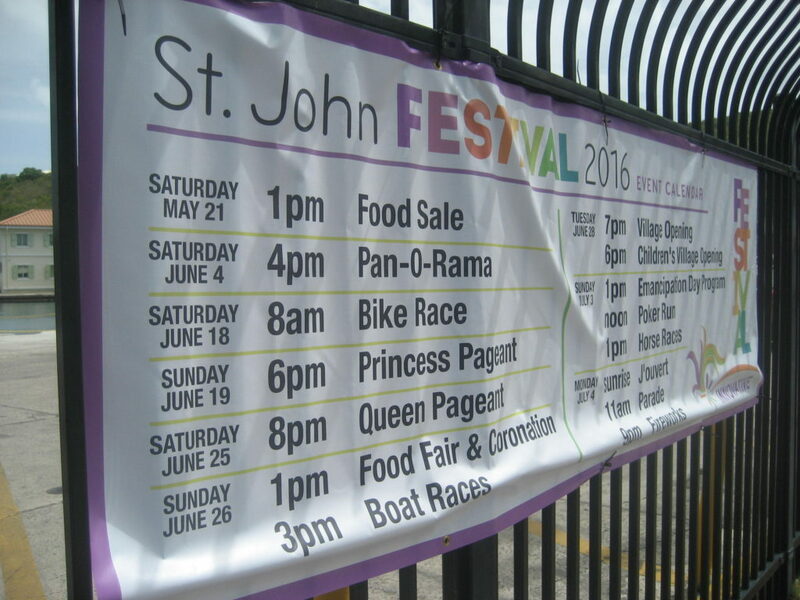 St. John Island Emancipation Day Festival June 2016 poster. Photo courtesy of USF Heritage Research Lab. The purpose of the research is to fill the gaps in interpretation of the park to include underrepresented people, families, and communities and broaden information about the history of the park that is shared with the general public. The project team will conduct semi-formal interviews, engage in casual conversation, site visits, and participate in informal and formal meetings and activities with project participants at mutually agreed upon locations on St. Thomas and St. John islands. The project team kick-off meeting was held in January 2016 at the NPS Virgin Islands National Park on St. John Island with key stakeholders. 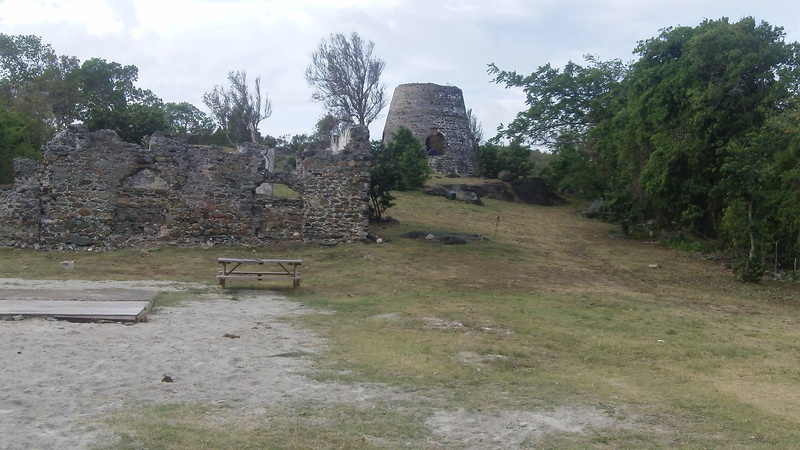 Project fieldwork began on June 10thwith a tour of St. John Island led by Ken Wild, Archaeologist/Cultural Resource Manager of the Virgin Islands National Park. 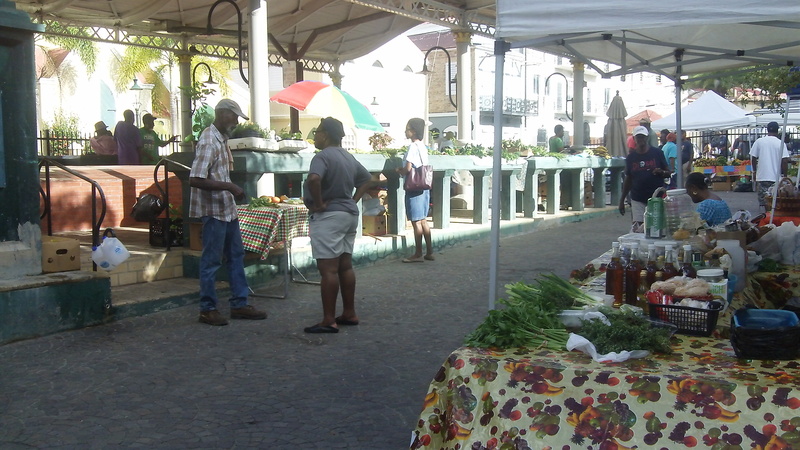 On the following day, June 11th, the team visited the St. Thomas Charlotte Amalie Saturday Market and was welcomed by Senator Myron D. Jackson, chairman of the Committee on Culture, Historic Preservation, Youth & Recreation. 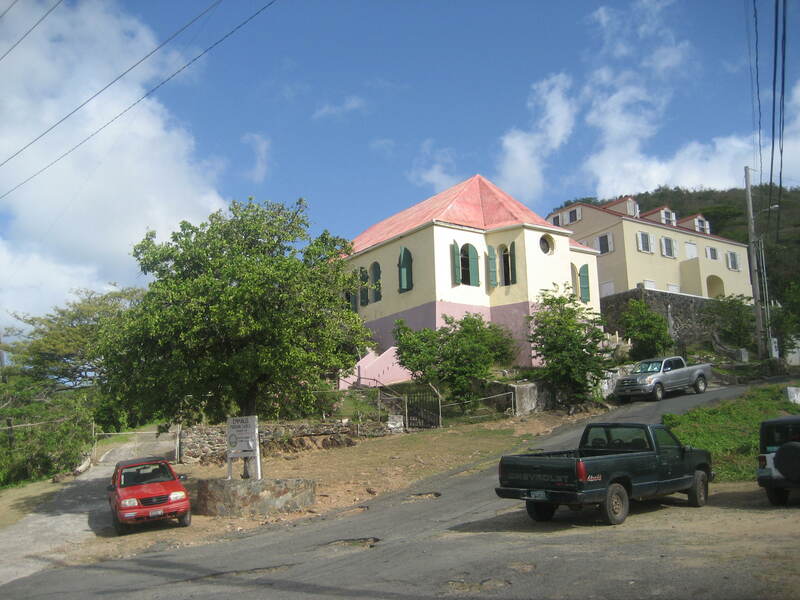 And on Sunday June 12thwe attended Emmaus Moravian Church in Coral Bay on St. John Island. Additionally, the team visited several former sugar plantation sites and conducted ethnographic research, including Annaberg, Susannaberg, and Cinnamon Bay on St. John Island. 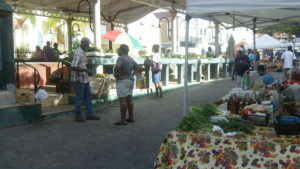 **We invite you to follow our work through our blog posts on this site! Click on pictures to view larger size. 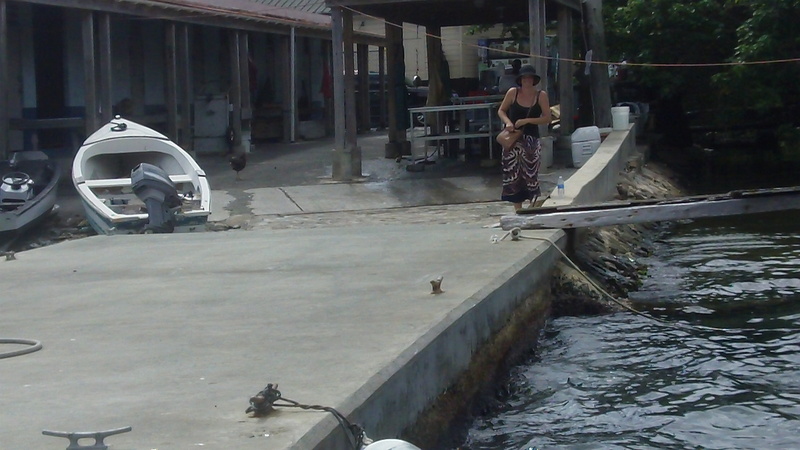 Ethnographic research on St. John, USVI with Jewel Cumberbatch – What I learned!